Since the creation of the original Tokyo Art Beat site in 2004, our international team has strived to realize the dream of making the art and design world more fun, more diverse and more accessible to all. 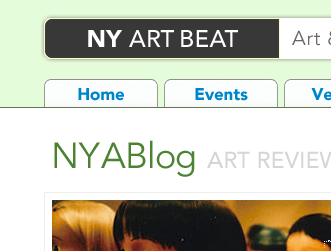 With TAB now being a leading source for Tokyo, and KAB putting the Kansai Scene under the spotlight, it’s time for the New Yorkers in our team to bring that dream back home and build nyartbeat, the definitive art&design guide for the Big Apple. We are now in the process of building up a team of superheroes, staff and volunteers to take on the megalopolis starting at the end of March, and we would like *you* to join in and help making NYAB a success. * an office space to put all those people. Wifi a must, penthouse with a view on central park a plus.